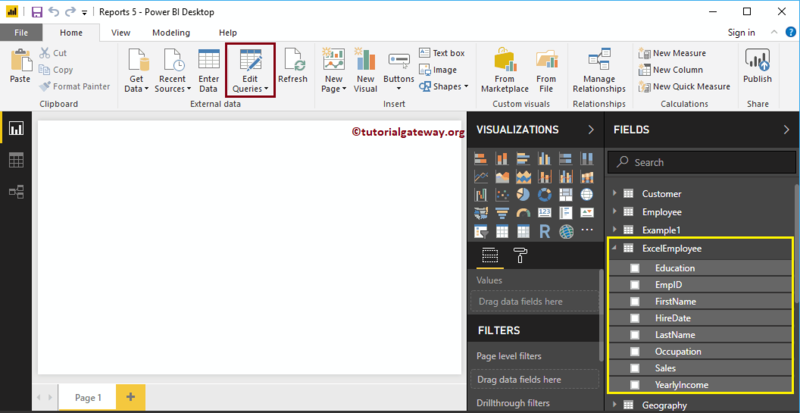 Generally, when you load a table from any data source, Power BI will automatically detect the data type of a column. However, there may be some situations where Power BI might get them wrong. For example, it may consider amounts, values, or even dates as the text. 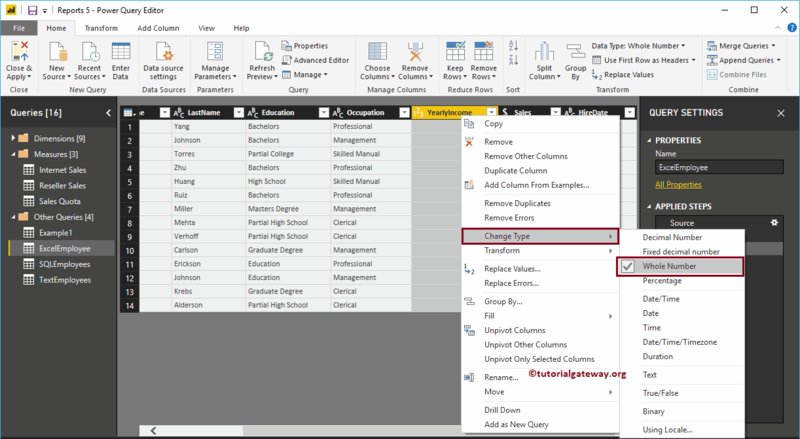 In these situations, you can use Power BI change data types of a column option. In this article will show you, How to Change Data Types of a Column in Power BI with an example. To demonstrate this Change Data Types of a Column, we are going to use the excel table that we imported in Enter Data article. In order to change data types of any column, please click Edit Queries option under the Home tab. There are a couple of ways to change data types of columns in power bi. This time we will select the Add New Step. It means this change column type will add as a new step under the Applied Steps. As you can see from the below screenshot, it changed the data type of Sales column and added a new step under the Applied Step. Please select the Column that you want to change the data type and right-click on it will open the context menu. Select the Change Type and then the data type from the list. For now, we are selecting the Whole Number. Don’t forget to hit Close & Apply option under the Home tab to apply these changes.